Kwara police command on Friday paraded a couple and three others for allegedly being in possession of 11 human skulls and several human bones. Addressing reporters in Ilorin, the state capital, the commissioner of police, Bolaji Fafowora said eight of the human heads found at the home of the suspects were already dried while the remaining three were fresh. Investigators also found suspected human hair in their possession. He listed the suspects as Azeez Yakubu, Salima Azeez, Isiah Wasiu, Abubakar Isiaka and Soliu Yakubu. The chief suspect, Yakubu is 37-year old and works as a commercial driver. 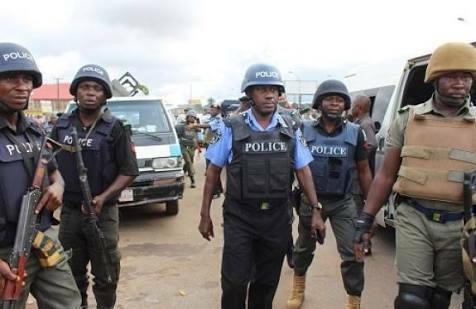 The police boss said: “Acting on intelligence available to the command about suspected ritual killings around Adewole area of Ilorin by some ritualists, detectives from the police command swooped on a building located at No. 20, Ile-Opa area of Aromadu, Adewole and one Yakubu Azeez and four other suspects were rounded up, a search was conducted in the building and 11 human skulls, several suspected human bones, a bunch of suspected human hair and other items were recovered." Some of the skulls were said to have been recovered from the ceiling where Yakubu and his wife lived while the others were recovered from the wife’s shop.